1Naga Ravikiran1 and C.G. Dethe21Research Scholar, ECE Department, Priyadarshini Institute of Engineering and Technology (PIET), Nagpur, Maharashtra.2Director, UGC-Human Resource Development Centre, RTM Nagpur University, Nagpur, India. Wireless sensor network (WSN) brings a new paradigm of real-time embedded systems with limited computation, communication, memory, and energy resources that are being used fora huge range of applications. Clustering in WSNs is an effective way to minimize the energy consumption of sensor nodes. In this paper improvements in various parameters are compared for three different routing algorithms. First, it is started with Low Energy Adaptive Cluster Hierarchy (LEACH)which is a famed clustering mechanism that elects a CH based on the probability model. Then, work describes a Fuzzy logic system initiated CH selection algorithm for LEACH. Then Artificial Bee Colony (ABC)which is an optimisation protocol owes its inspiration to the exploration behaviour of honey bees. In this study ABC optimization algorithm is proposed for fuzzy rule selection. Then, the results of the three routing algorithms are compared with respect to various parameters. Wireless Sensor Network (WSN), LEACH, Clustering, Artificial Bee Colony (ABC), Fuzzy logic system. Wireless Sensor Networks (WSN) is a group of spatially dispersed dedicated sensors to monitor/record an environment’s physical conditions and to organize collected data at a central location (Xiao 2004). Clustering based schemes are the most energy efficient routing protocols. In a cluster, a node is elected as CH while others are member nodes who in their respective clusters sense ambient conditions in the environment and transmit measured data to corresponding CHs . CHs collect data from member nodes, aggregate them, and finally forward it to either a neighboring CH (multi-hop) or directly (single hop) to BS. Clustering leverages advantages of small transmit distances for most nodes, requiring only a few to transmit farther distances to a BS . Every sensor node in the group is associated to a single cluster and interacts only with the respective CH . Hence, this means that the appropriate CH should be selected to optimize the consumption of energy by the CH; If not so, it may cause the death of CH because of additional load for data collection and forwarding. Many of the routing algorithms that are based on cluster technique first select CH at random or by probability and thereafter form the cluster. This paper gives a view about comparing the results with respect to fuzzy rule selection with the use of LEACH and ABC optimization algorithms. Section 2 lists the literature of previous work, Section 3 illustrates the used technique, Section 4 explains the comparison of the result and Section 5 includes the conclusions. An energy efficient CH election protocol (LEACH-HPR) proposed by Han  used a minimum spanning tree algorithm to construct inter-cluster routing. An improved LEACH called partition-based LEACH (pLEACH) which partitioned a network into an ideal number of sectors and chose a node with the highest energy as sector head was proposed by Gou and Yoo  using centralized calculations. A Multi-hop Routing with LEACH (MR-LEACH) protocol was presented by  to prolong WSN life. MR-LEACH partitioned a network into different cluster layers. BS selected upper layer CHs to act as super CHs for lower layer CHs. Singh, et al., (2010) surveyed and summarized recent research works focused mainly on the energy efficient hierarchical cluster-based routing protocols for WSNs . Due to the scarce energy resources of sensors energy efficiency was the main challenge in the design of protocols for WSNs. The ultimate objective of the protocol design is to keep the sensors operating for as long as possible, thus extending the network lifetime. MS-LEACH was proposed by  to enhance S-LEACH security by giving data confidentiality, and a node to CH authentication using pairwise keys shared by CHs and cluster members. The new MS-LEACH’s security analysis showed that it had efficient security properties achieving all WSN security goals compared to LEACH protocol’s current security solutions. MS-LEACH’s simulation-based performance evaluation proved the effectiveness of new MS-LEACH preserving the energy efficiency was a critical and a challenging task. Biradar, et al., (2009) analyzed the design issues of WSNs and presented a classification and comparison of routing protocols. Recent advances and convergence of micro-electro-mechanical systems technology wireless communications, integrated circuit technologies, microprocessor hardware and nanotechnology, distributed signal processing, Ad-hoc networking routing protocols and embedded systems created the WSN concept where nodes were limited regarding energy supply, restricted computational capacity, and communication bandwidth . Elrahim et al (2016) proposed an energy efficient data forwarding protocol  called Energy Aware Geographic Routing Protocol (EAGRP) for WSNs to extend the lifetime of the network. In EAGRP, both position information and energy were available at nodes used to route packets from sources to destination. This prolongs the lifetime of the sensor nodes hence the network lifetime, higher packet delivery ratio and minimal compromise of energy efficiency were performed. The routing design of EAGRP was based on two parameters: location and energy levels of nodes. Hancke, et al., (2007) introduced a Simple Energy Efficient Routing Protocol (SEER) to improve network lifetime by limiting the number of messages that were sent through the network . The nature of WSN necessitates specific design requirements, of which energy efficiency is paramount. SEER uses a flat network structure for scalability and source initiated communication, along with event-driven reporting to reduce the number of message transmissions. Computational efficiency was achieved by using a relatively simple method for routing path selection. Routing decisions were based on the distance to the base station as well as on remaining battery energy levels of nodes on the path towards the base station. Zogović, et al., (2010) research on WSN focused mostly on providing energy-efficient operation for every node that ensures a long life for WSN. It was important to consider QoS provisioning in addition to taking into account energy-efficiency. Keeping in mind, that throughput, average delay and jitter (delay variance) were important QoS parameters at Medium Access Control (MAC) layer, it led to reviews of fundamental energy-efficiency vs. delay36 trade-off, and throughput vs. capacity in wireless communications. Nikravan, et al., (2011) affirmed a routing protocol in wireless sensor networks to achieve real-time communication besides the energy efficiency . With demand increasing for real-time WSN services, Quality of Service (QoS) based routing is now an emerging research topic. Providing QoS guarantee in sensor networks is challenging. A fuzzy logic-based Energy Efficient scheme for real-time packet transmission in WSN was proposed. Here a Fuzzy Logic System (FLS) was used as a decision mechanism for next hop node selection. Both transmission rate and energy were chosen parameters for choosing the next-hop node in real-time packet transmission. Simulation results showed that this scheme provided improvement in real-time transmission and energy efficiency performance, low energy consumption, and high packet delivery ratio within deadline compared with some other routing protocols when operating in varying real-time environment. Sobral, et al., (2013) proposed a Fuzzy Inference System to help the Directed Diffusion routing protocol to choose a route for the communication between any nodes in the network. A new approach helped to choose the best route based on Fuzzy Inference Systems and Ant Colony Optimization (ACO). The Fuzzy System was used to estimate the degree of the route quality, based on the number of hops and the lowest energy level among the nodes that form the route. The ACO algorithm was used to adjust the rule base of the fuzzy system in order to improve the classification strategy of the route, and hence increased the energy efficiency and the survivability of the network. The simulations showed that it was effective from the point of view of the energy, the number of received messages, and the cost of received messages when compared to other approaches. Zhou, et al., (2017) proposed a multiple dimensional tree routing protocol for Multi-sink WSNs based on listening and ACO. Taking into consideration hops, packet losses, retransmission, and delay account, a distributed ant colony algorithm was proposed. When nodes selected routes in the data transmission, the algorithm was utilized to realize the real-time optimization by coordination between nodes. The simulation results showed that the ACOMSR protocol realized the QoS optimization for Multi-sink wireless sensor networks, and its performance was better than the routing protocol of minimum hop numbers. This section discusses fuzzy-based CH selection, ABC and fuzzy ABC-based selection of CH. 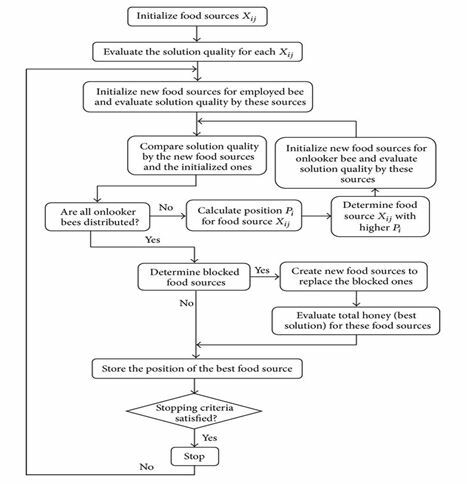 Figure 2 shows the flowchart of the proposed methodology. Figure 2: The flowchart of the proposed methodology. Fuzzy logic implements decision using fuzzy decision sets, each given by a separate term like “small”, “medium”, or “large”. Fuzzy logic system performs de-fuzzification and fuzzy inference. Fuzzification converts a crisp input to a fuzzy value. Generally, used membership functions use triangular/trapezoidal membership functions. In this technique, it is assumed that a node in WSN node receives its coordinates. LEACH-FL organization comprises three sections, four fuzzification functions, an inference engine (concluding 27 rules) as well as defuzzification module . Defuzzification module is a mere formula and hence is not depicted in the figure and will be given later (Ran et al., 2010). Fuzzification module: Consider that three different node attributes influences the selection of CH, in order to utilize the input functions to change the system input into the fuzzy set, namely distance, the density of node and battery power level. Every input function consists of three membership functions to exhibit the various degrees of function. The count after the membership functions exhibits the membership function degree and illustrates the relationship between the input function is arithmetical . The formula illustrates the association among various input function. Battery level is the key feature in the CH election probability. De-fuzzification module: After collating the conclusion by every rule, defuzzification technique is needed to obtain crisp value. General defuzzification technique is the centroid that gives the value of the center area in a fuzzy set to obtain collated conclusion . Set Num(Give up) to 0. Start with nodes in G1. If a CH is produced from G1, forward a Hello package and Num(Give up). Well-organized CH selection has an influence on cluster organization. Using FRD to choose CH is different from current methods like CBRP, WACA, SCAM, and secured clustering algorithm (SCA). Selecting CH is difficult and imprecise in CBRP, with respect to Lower ID, MOBIC as per mobility, and SCA based on the value of trust. Existing methods select CH based on one of the following variables: ID, mobility, as well as trust value. The suggested technique applies variables together to choose CH. CH is elected by fuzzy relevance degree (FRD) and decided by power availability, the strength of signal and distance between the nodes. FRD of a node represented a degree of consistency that a network neighbor node provides. Fuzzy relevance-based CH selection algorithm (FRCA) system selects CH with respect to fuzzy relevance, power availability, mobility, and internodes distance .Available node power, internode distance, and node mobility are responsible for the maintenance of energy consumption balance of a node. Inter-node distance and mobility are responsible for the equilibrium of cluster. FRCA executes clustering as per parameters detailed above and selects a CH for effective clustering. After the employment of sensor node, it obtains information on the location of the node (via GPS technology or known before employment) and informs it to a BS. The BS determines Delay (Si) distribution of the sensor node. Delay (Si) = 0 for those in regions to begin first (Abad and Jamali, 2011). LEACH is a cluster-based algorithm uses distributed clustering formation algorithm which is a cluster routing based data aggregation algorithm . This algorithm is represented in rounds with two phases: setup phase and steady state phase. In setup phase, 𝑝 % of 𝑛 sensors are randomly chosen as CHs based on a threshold . Here𝑝 is a required number of CHs, 𝑡 current round, and 𝐺 a set of nodes that are not CHs in the last 1/𝑝rounds ensuring that a sensor chosen to be CH is not selected in next rounds till all network sensors become CHs . This leads to fair energy consumption and increases network life. LEACH functioning is represented in rounds, which starts with a set-up phase when clusters are organized, then steady-state phase . Set-up phase: Nodes in LEACH takes independent decisions to define clusters using a distributed algorithm without centralized control. Steady-State Phase: Steady-state operation is divided into frames with nodes sending data to CH at one per frame during given transmission slot. Set-up phase will not assure nodes being evenly distributed among CH nodes. So, nodes per cluster vary in LEACH, and data a node can send to a CH depends on the number of nodes in a cluster . The ABC protocol was invented by Karaboga in 2005 for optimization of numerical problems that comprises three groupings of bees: employed bee, onlooker bee, finally, scout bee. The bee that carries out a search in random is called a scout bee. The bee moving to food source visited by it previously and sharing the information with other types of bees is named as an employed bee and the bee that waits in the dancing area is called onlooker bee. The onlooker bee, as well as scout bee, is also known as unemployed bees. The quality of nectar of food sources represents the fitness cost of the related solutions. Inthe fuzzy method, FRD to select CH varies from existing method like CBRP, WACA, SCAM, as well as SCA. Selecting CH is difficult and imprecise in CBRP, with respect to Lower ID, MOBIC as per mobility, and SCA based on the value of trust. Existing methods select CH based on any one of the variables: ID, mobility, as well as trust value. The suggested technique applies variables together to select CH. CH is elected by FRD and decided by power availability, the strength of signal and distance among the nodes. FRD of a node represented a degree of consistency that a network neighbor node provides. FRCA system selects CH with respect to fuzzy relevance, power availability, mobility, and internodes distance . Available nodes power, internode distance, and node mobility are responsible for the maintenance of energy consumption balance of a node. Inter-node distance and mobility are responsible for the equilibrium of cluster. FRCA executes clustering as per parameters detailed above and selects a CH for effective clustering. ABC is used for optimizing the rule selection. ABC refers to a population-based technique that imitates the behavior of honey bees . Bees in a hive are classified as employed bees, onlookers, as well as scout bees. 1 Employed bee: Employed bee hunts for nectar and gets linked with the source. The collected information is shared with the onlooker bee by waggle dance. 2 Onlooker bee: Onlooker bee waits for employed bee in the dancing area of the hive to get the detail of food source and decides on selecting the food source. 3 Scout bee: Scout bee carries out the search randomly near the quality food source. In short, they conduct local searches. Parameters considered for improvement in each routing algorithm implementation are Number of clusters formed, an Average end to end delay, Packet loss rate and Number of nodes alive. The software tool used to implement different algorithms was using MAT Lab and OPNET simulator. From the above table 1 it is clear that Number of clusters formed increases by 9% due to using fuzzy based ABC algorithm in multihop wireless sensor networks. From the above table 2 it is clear that end delay decrease by 5% due to the implementation of fuzzy based ABC algorithm in multi-hop wireless sensor networks. From the table 3 it is clear that packet loss rate decreases by 5% due to implementation of fuzzy based ABC algorithm in multi hop wireless sensor networks. From the table 4 it is clear that Number of nodes alive increases by good number after completion of so many numbers of rounds of iteration due to the implementation of fuzzy based ABC algorithm in multi hop wireless sensor networks. Wireless network is considered as most common service used in industrial and commercial application due to its technological enhancement in the process, interaction and utilisation of low power embedded computational devices. Energy consumption and lifespan are the most vital concerns in heterogeneous WSN as it increases the energy consumption equilibrium and hence increase in the lifespan of network. 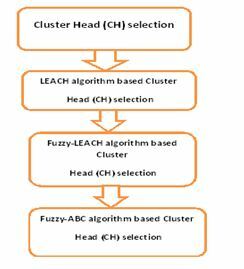 In the current study, a novel hybrid fuzzy ABC is suggested that is built through the integration of fuzzy logic with ABC to optimise the CH selection . ABC is utilised to optimise the rule selection. The ABC optimisation with fuzzy rule selection approach is given for improving the network lifetime. The experimental results compared with other routing algorithms proved that the suggested method enhances the network’s lifespan as well as reduces the delay from end to end delays and rate of packet loss in comparison with other selection methods. Abad, M.F.K. and Jamali, M.A.J. (2011) ‘Modify LEACH algorithm for wireless sensor network’, IJCSI International Journal of Computer Science Issues, Vol. 8, No. 5. Abraham, A., Jatoth, R.K. and Rajasekhar, A. (2012) ‘Hybrid differential artificial bee colony algorithm’, Journal of Computational and Theoretical Nanoscience, Vol. 9, No. 2, pp.249–257. Selvakumar, K., &Selvi, M. S. (2014). Efficient Load Balanced Routing Algorithm Based On Genetic And Particle Swarm Optimization. ‘A survey on swarm intelligence based routing protocols in wireless sensor networks’, International Journal of Physical Sciences, Vol. 5, No. 14, pp.2118–2126. Saini, M., &Saini, R. K. (2013). Solution of Energy-Efficiency of sensor nodes in Wireless sensor Networks. International Journal of Advanced Research in Computer Science and Software Engineering, 3(5), 353-357. Han, L. (2010, October). LEACH-HPR: An energy efficient routing algorithm for Heterogeneous WSN. In Intelligent Computing and Intelligent Systems (ICIS), 2010 IEEE International Conference on (Vol. 2, pp. 507-511).IEEE. Gou, H., &Yoo, Y. (2010, April). An energy balancing LEACH algorithm for wireless sensor networks. In Information Technology: New Generations (ITNG), 2010 Seventh International Conference on (pp. 822-827). IEEE. Farooq, M. O., Dogar, A. B., & Shah, G. A. (2010, July). MR-LEACH: multi-hop routing with low energy adaptive clustering hierarchy. In Sensor Technologies and Applications (SENSORCOMM), 2010 Fourth International Conference on(pp. 262-268). IEEE. El-Saadawy, M., &Shaaban, E. (2012, May). Enhancing S-LEACH security for wireless sensor networks.In Electro/Information Technology (EIT), 2012 IEEE International Conference on (pp. 1-6).IEEE. Chang, J-Y. andJu, P-H. (2012) ‘An efficient cluster-based power saving scheme for wireless sensor networks’, EURASIP Journal on Wireless Communications and Networking, Article 172, Vol. 2012. Hadjila, M., Guyennet, H. and Feham, M. (2013) ‘Energy- efficient in wireless sensor networks using fuzzy C-means clustering approach’, International Journal of Sensors and Sensor Networks, Vol. 1, No. 2, pp.21–26. wireless sensor networks’, in The Proceedings of 8th International Conference on Sensing Technology & International Journal on Smart Sensing and Intelligent Systems, pp.560–567. Jerusha, S., Kulothungan, K. and Kannan, A. 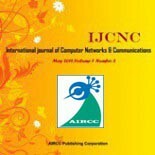 (2012) International Journal of Computer & Communication Technology, Vol. 3, No. 5, pp.0975–7449. Kaur, J. and Soni, N. (2015) ‘Performance evaluation of on demand energy efficient routing protocol for WSN’, International Journal of Future Generation Communication and Networking, Vol. 8, No. 5, pp.81–88. Khalid, H., Abdullah, K.M., AhsanAwan, F. and Hussain, A. (2013) ‘Cluster head election schemes for WSN and MANET: a survey’, World Applied Sciences Journal, Vol. 23, No. 5, pp.611–620. Kour, H. and Sharma, A.K. (2010) ‘Hybrid energy efficient distributed protocol for heterogeneous wireless sensor network’, International Journal of Computer Applications, July, Vol. 4, No. 6,pp.0975–8887. Malarvizhi, M. and Gnanambal, I. (2015) ‘Harmonics elimination in multilevel inverter with unequal DC sources by fuzzy-ABC algorithm’, Journal of Experimental & Theoretical Artificial Intelligence, Vol. 27, No. 3, pp.273–292. the network lifetime’, Sensors Journal, IEEE, Vol. 16, No. 1, pp.137–144. Ran, G., Zhang, H. and Gong, S. (2010) ‘Improving on LEACH protocol of wireless sensor networks using fuzzy logic’, Journal of Information & Computational Science, Vol. 7, No. 3, pp.767–775. Rana, S., Bahar, A. N., Islam, N., & Islam, J. (2015). Fuzzy Based Energy Efficient Multiple Cluster Head Selection Routing Protocol for Wireless Sensor Networks. Singh, S. P., & Sharma, S. C. (2015). A Survey on Cluster Based Routing Protocols in Wireless Sensor Networks. Procedia Computer Science, 45, 687-695. Taruna, S., &Shringi, S. (2013). A cluster based routing protocol for prolonging network lifetime in heterogeneous wireless sensor networks. Taruna et al., International Journal of Advanced Research in HYBRIDComputer Science and Software Engineering, 3(4), 658-665. Yoon, M., & Chang, J. (2011, September). Design and implementation of cluster-based routing protocol using message success rate in sensor networks. In HPCC, 2011 IEEE 13th International Conference on (pp. 622-627).IEEE. PhanThiThe, Ngo QuangQuyen, Vu Ngoc Phan and Tran Cong Hung. (2017). A Proposal to Improve SEP Routing Protocol Using Insensitive Fuzzy C-Means in Wireless Sensor Network, International Journal of Computer Networks & Communications (IJCNC) Vol.9, No.6, November 2017. SaeidPourroostaeiArdakani. (2017). Data aggregation routing protocols in wireless sensor networks: a taxonomy, International Journal of Computer Networks & Communications (IJCNC) Vol.9, No.2, March 2017. Tran Cong Hung and Ly Quoc Hung. (2016).Energy consumption improvement of traditional clustering method in wireless sensor network, International Journal of Computer Networks & Communications (IJCNC) Vol.8, No.5, September 2016.